I had mixed feelings about taking this trip to California at this time of the year — the end of summer I’ve barely had any time to enjoy. But various little things drew me out to southern California now instead of mid-winter like I had originally planned. I traveled light, without my camera. So all photos on this trip were taken with my phone. Click on any photo for a larger version. 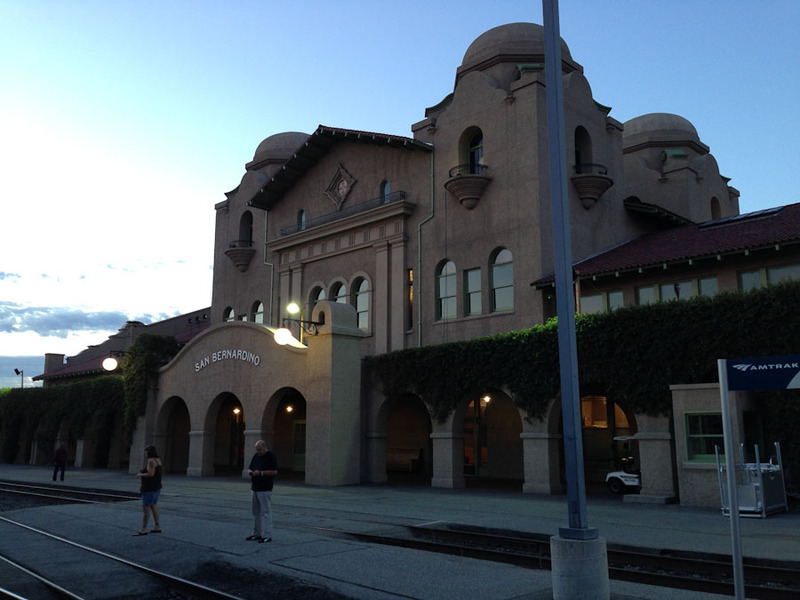 The trip started in La Junta in southern Colorado, leaving my mountain elevation of 8300 at 4:00 AM. I was surprised at the amount of traffic in the Denver area at that time. I don’t know why everybody was in such a frantic hurry to get to the jobs they hate before the crack of dawn on a Monday morning. The energy of the other drivers was so frantic that by the time I got to Colorado Springs, I witnessed a huge car accident in progress. I narrowly escaped hitting anybody or anything. If I hadn’t been fully focused on driving, I would have ended up in the pile of other cars. It wasn’t even 6:00 AM yet. I was relieved to depart I-25 onto US Highway 50 in Pueblo. It was much more mellow and nobody was in a frantic hurry. I arrived in La Junta around 8:00 AM. The train station was deserted and the train was running about an hour late. I walked around downtown La Junta which was pretty quiet except for the road construction. 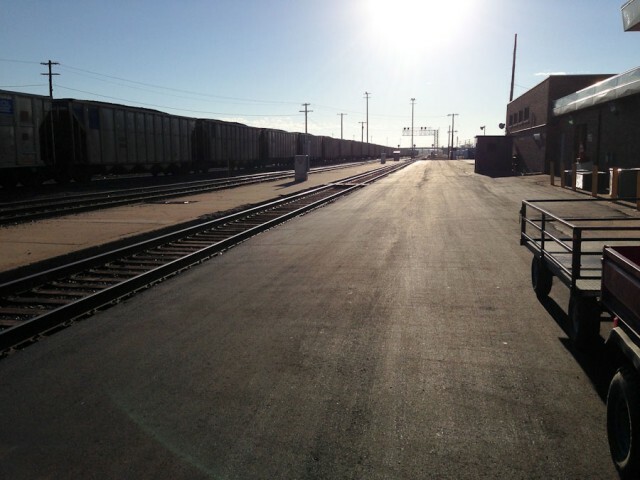 Waiting for the train at a nearly deserted station in La Junta, Colorado. 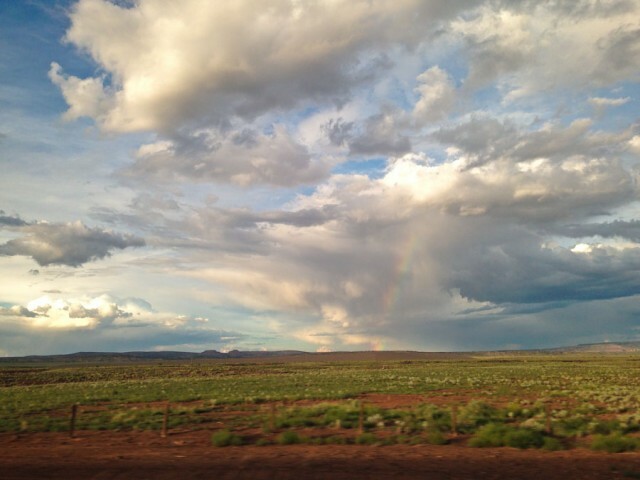 After my harrowing drive there, things were peaceful. 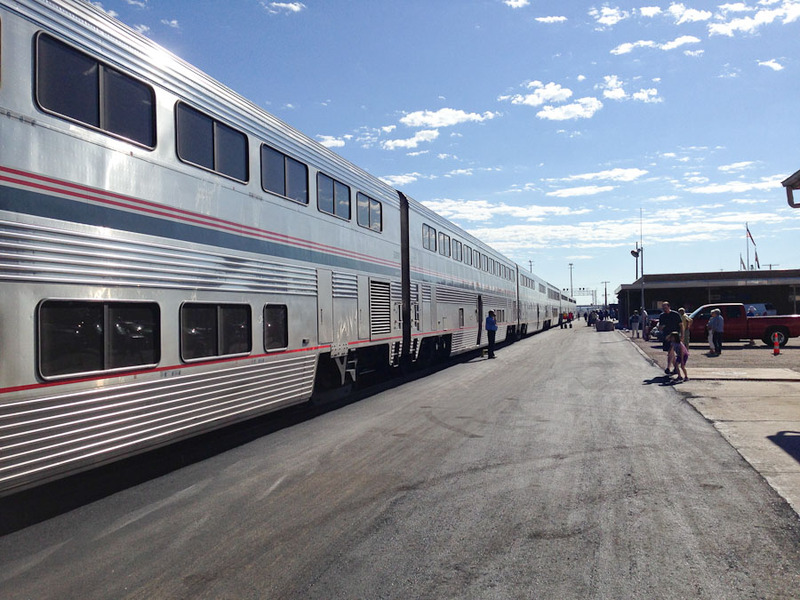 The Southwest Chief, Amtrak train number 3, at La Junta station. I was only one of two passengers to get on-board at La Junta. The people you see in the photo above had stepped off the train briefly for some air and solid land. Once the train pulled out, it was deserted again. Short grass prairie of southern Colorado. 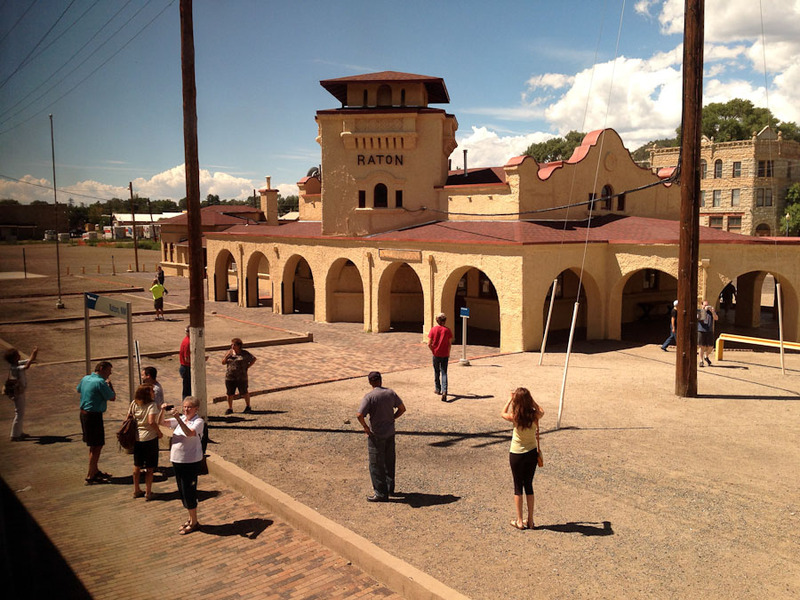 Raton station in New Mexico. Again, most of the people you see in this photo are passengers on the train who have stepped off briefly for a break. I wanted to, but I was already being served lunch in the dining car. 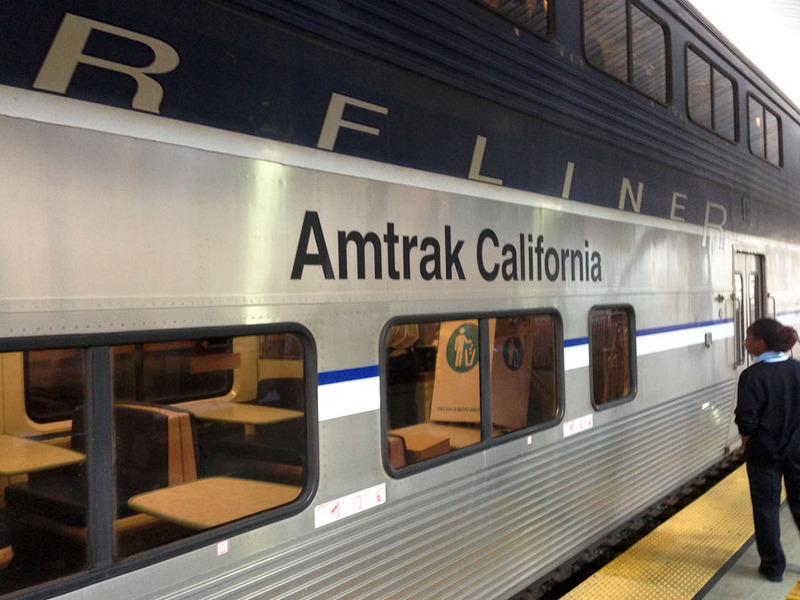 I was a disappointed to find that Amtrak has cut about 30% of the selections from the menu compared to two years ago when I took a long distance trip. I was told it was a cost cutting measure. So instead of about 6 or 7 choices for lunch or dinner, there were only 4. Not much to choose from. The food quality seemed lower as well — lower than Denny’s. For the price I was paying, it felt like a total rip off and will influence my decision to take a train trip again. The bean counters took something good and ruined it. 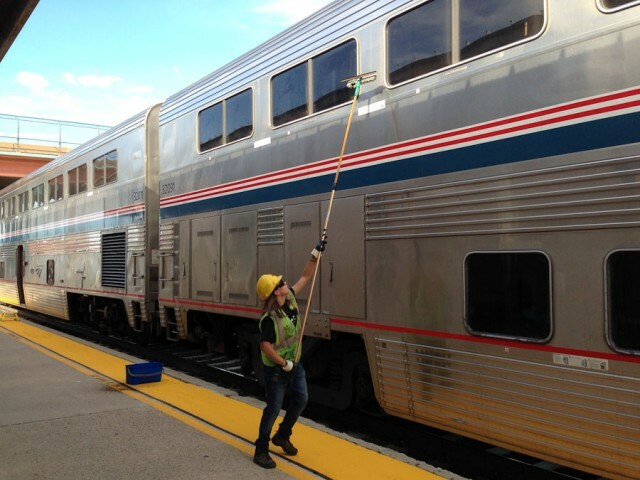 Getting the window to my room cleaned in Albuquerque. 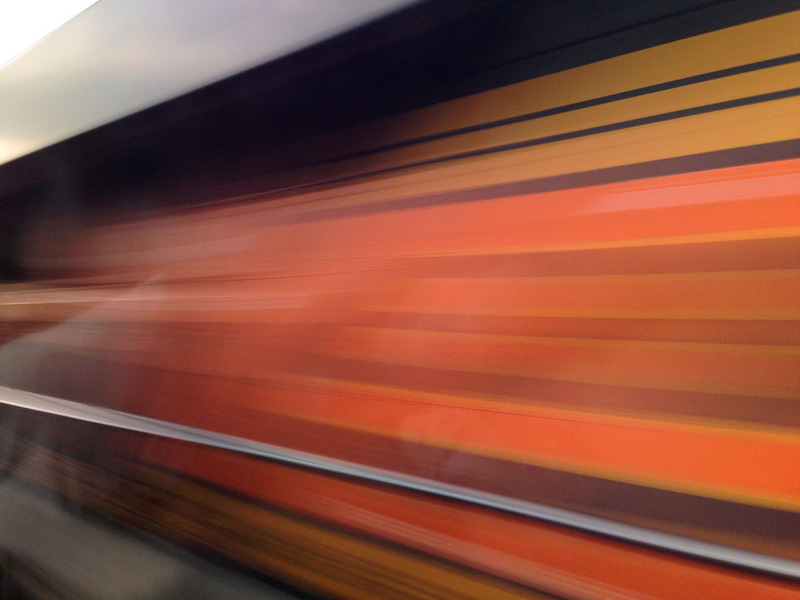 When two trains pass each other at 80 MPH for a combined speed of 160 MPH (BNSF locomotive). 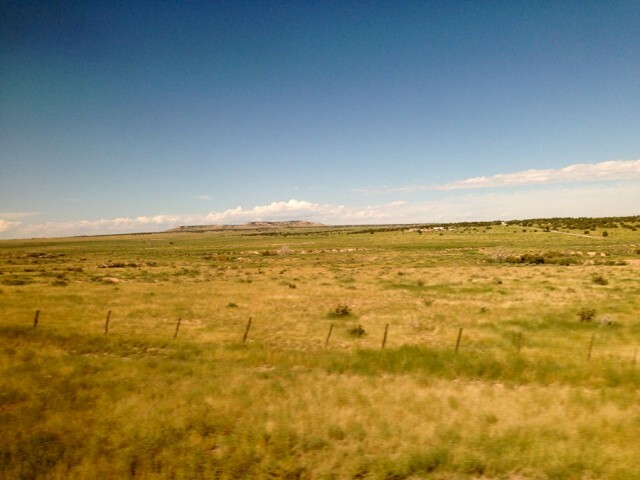 Montana has claim to being called the Big Sky State, but I think New Mexico would have to be second. A day of staring out of the window was really needed after all of the work stress and lack of time off. I slept really well in my bed that night with the rocking of the train. I woke just as it was starting to get light out. We had arrived in civilization. I couldn’t decide whether to sleep in and snooze or get dressed and hop outside the train at San Bernardino for some firm ground and fresh air. I ended up doing the latter. 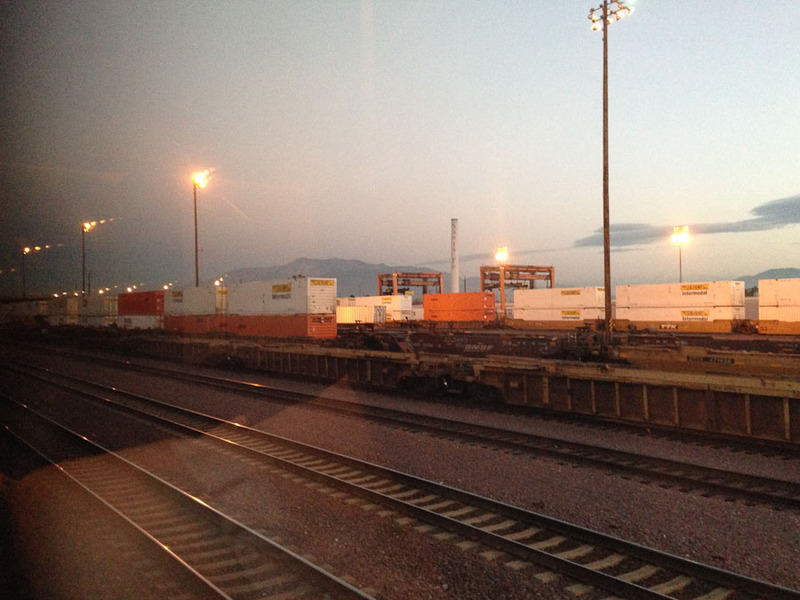 BNSF Freight yards outside of San Bernardino, California. San Bernardino station in the early dawn. 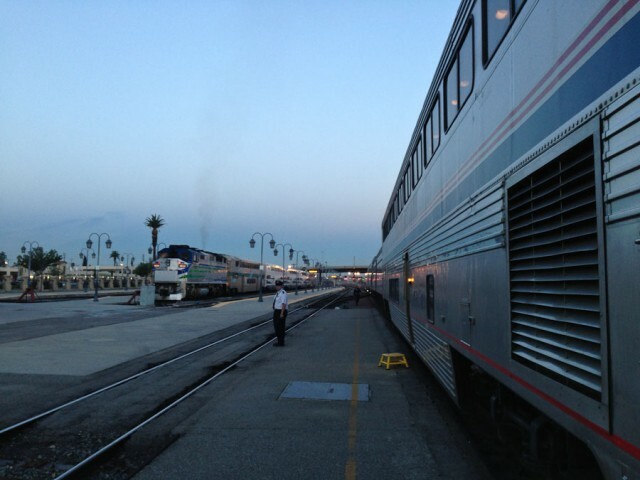 It wasn’t long before arriving in Los Angeles to change trains. 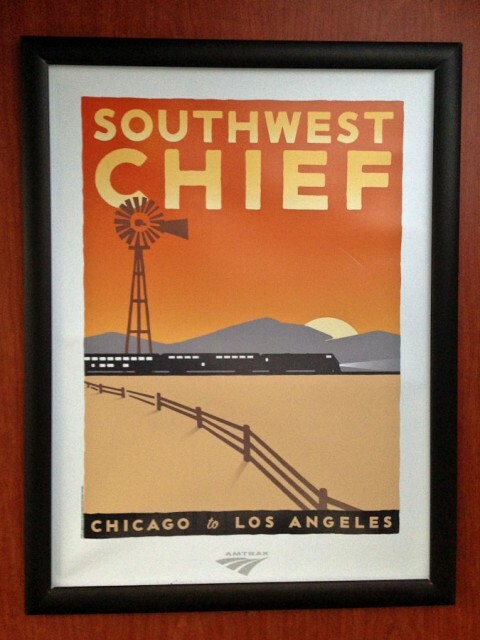 The Pacific Surfliner would take me south to Oceanside where my dad was meeting me. After meeting my dad at the station, we went to the beach for a walk. Cloudless blue sky, blue ocean, light brown sand, pelicans, and salty breeze. The next installment, part 2, is here. 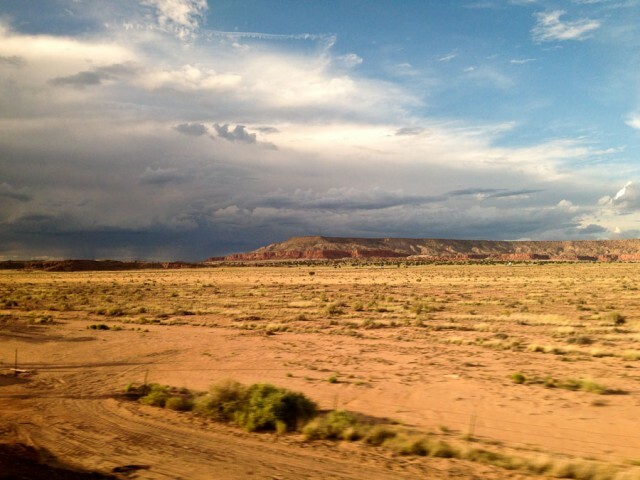 I really love train travel. I took Amtrak to California from Denver with my grandparents when I was just 5 years old and I think it was really formative to my affinity for travel. It’s tough to do with limited vacation time, though. This was an 8 -day trip for me, aided by a holiday weekend. Grand photographs. One of these day I’d like to take that kind of a train trip. In reading this, I realized I’ve not been on I-25 in a year. I do not feel bad about this.